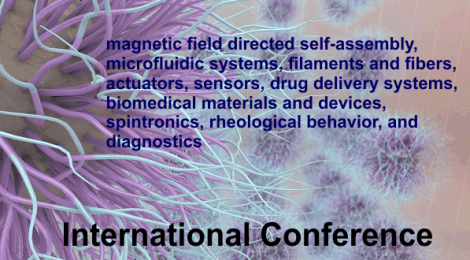 Athens, Ga. – Leading scientists from around the world will converge on Athens for a UGA state of the art conference on magnetically stimulated soft materials May 11-12. The conference, held at the Georgia Center, focuses on the growing field of materials science that has applications ranging from biomedical, including drug delivery, to engineering, among others. Renowned scientists such as Shouheng Sun from Brown University, Haim Bau from the University of Pennsylvania, Benjamin Yellen from Duke University, Markus Zahn from the Massachusetts Institute of Technology, Andre R. Studart from ETH Zurich and Andrejs Cebers from University of Latvia, among dozens of others, will give presentations. Pamela Whitten, senior vice president for academic affairs and provost, will deliver opening remarks at the conference on Monday morning, along with David Lee, UGA vice president for research. Sun, from Brown University, will open the conference with a presentation called “Magnetic nanoparticles for bioimaging and therapeutic applications,” with 30-minute presentations on various topics continuing throughout the day. Minko, the conference organizer, will present on remotely controlled stimuli-responsive soft matter later on Monday. The conference will conclude with a student poster session Tuesday evening. A special issue of the journal Advanced Functional Materials will be produced by the end of the year based on material presented at the conference, Minko noted. Minko also praised the efforts of UGA faculty members Jason Locklin (department of chemistry), Leidong Mao (College of Engineering), Tho Nguyen (department of physics) and Jin Xie (chemistry), who helped organize the conference.